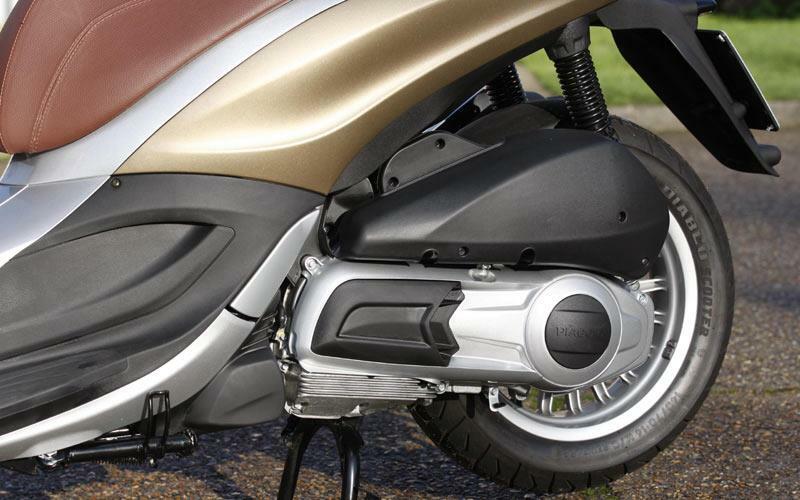 The 278cc engine gives the Beverly plenty of poke around town and out on the road and the handling inspires confidence. 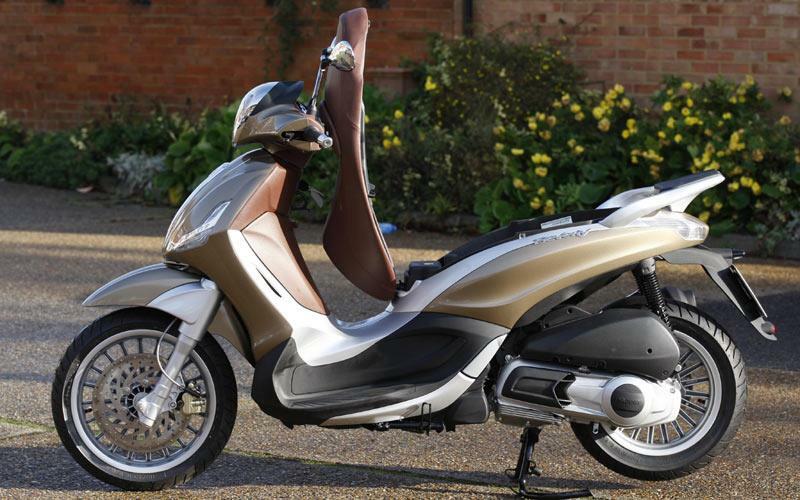 It looks slightly girly in pictures, but in the flesh it's not so bad, especially from the saddle, but it's definitely aimed at stylish city folk. Quite what possesed anybody to name it Beverly is anyone's guess, but Piaggio Brian doesn't quite have the same ring to it. 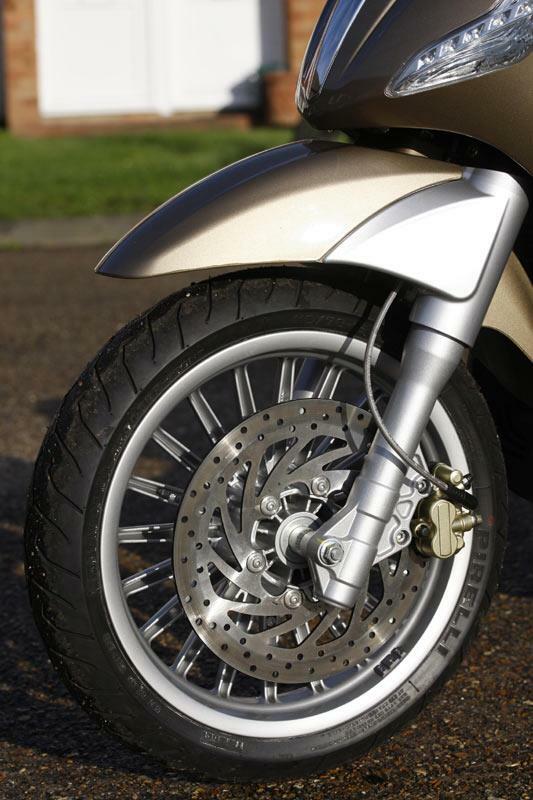 The 16 inch front wheel deals with undulations well and makes the bike agile in the corners - easily flicking from left to right. Couple this with the added weight of a 300cc engine and the Beverly feels planted and inspires confidence, even in poor conditions. 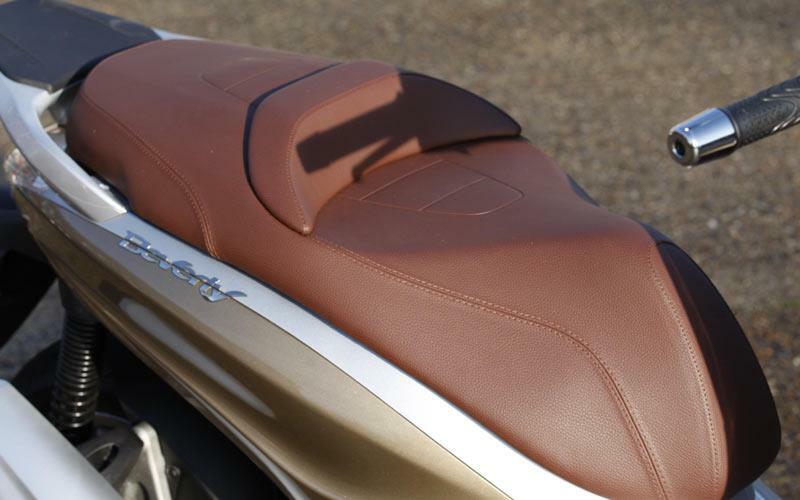 The huge brown seat feels like a sofa and looks the part too. 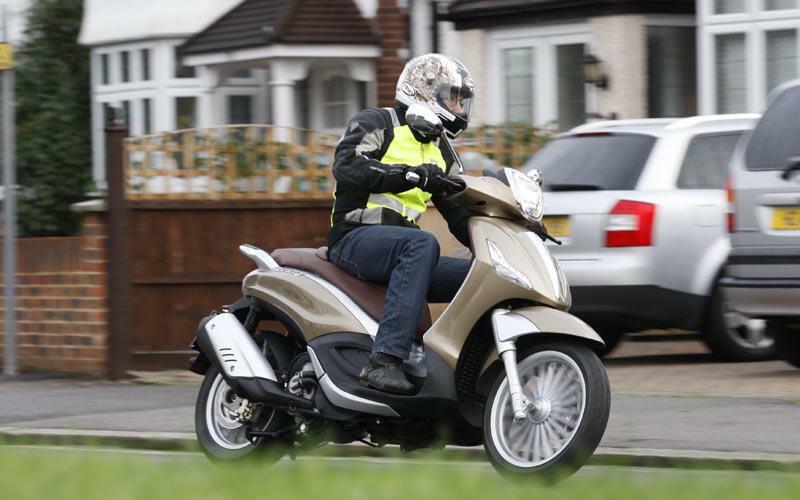 The 278cc single cylinder engine in the Beverly is spot on for a commuter. 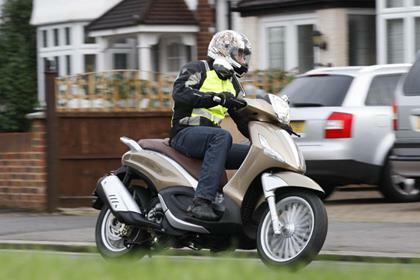 Whereas 125cc scooters struggle to get away fast enough, the Beverly gets up to 30mph much quicker, and is propelled all the way to 80mph+ meaning it's easily practical enough outside of the city, too. 70mpg is just the icing on the cake. Piaggio owns Vespa, Derbi, Gilera and Aprilia, so they know a thing or two when it comes to scooters and keeping them going. Scooters generally get abused as all-year round commuters, but look after the Beverly and it'll get you to and from work for a long time. 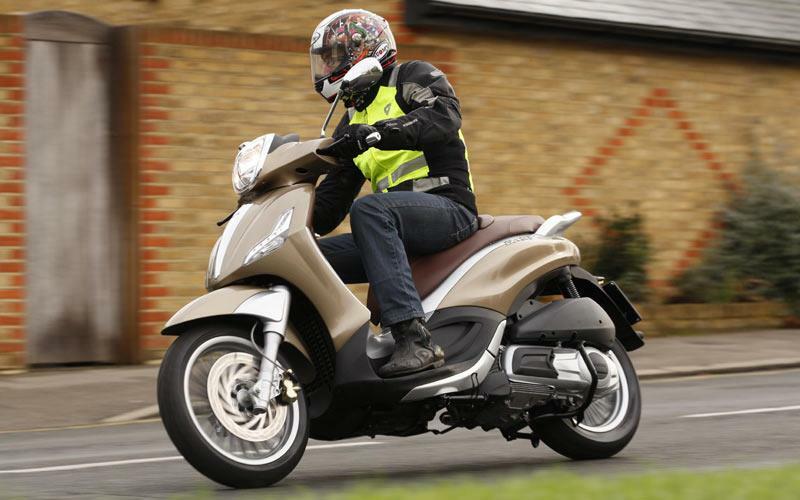 Just short of £4000 is a lot for a scooter, especially when the Piaggio X7 Evo (which uses the same engine) is £350 cheaper. 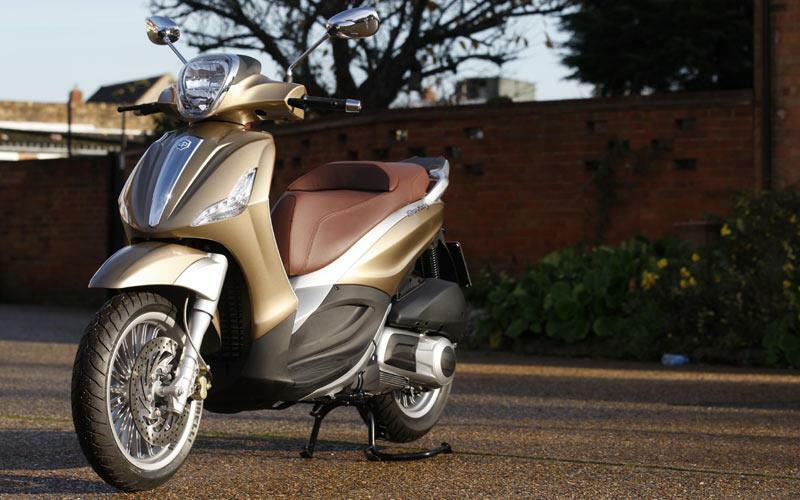 On the other hand the Yamaha X-Max 250 is £4,299, so the Beverly sits firmly in the middle. 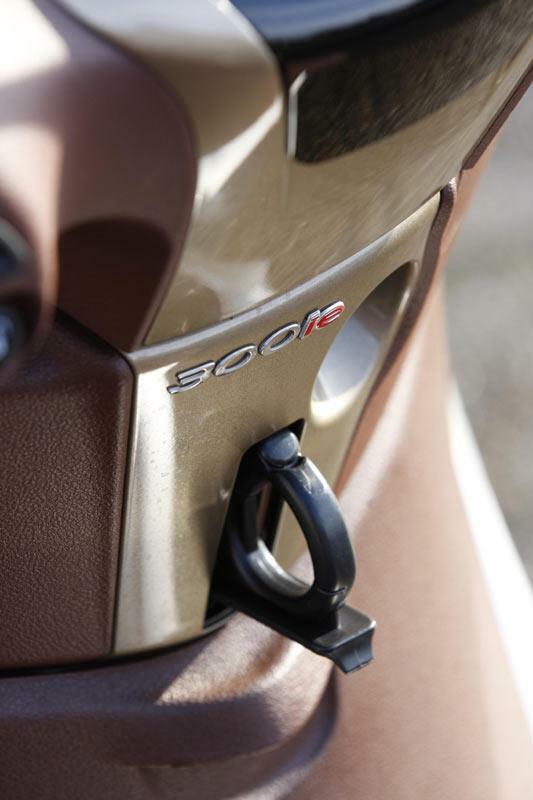 Underseat storage and a bag hook in the foot well take care or the storage duties. Mirrors are excellent, showing no elbow at all. 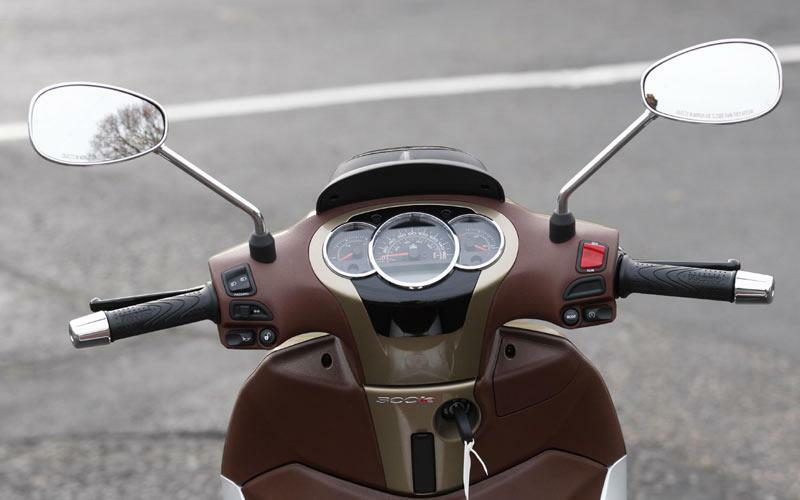 The dash includes fuel and temp gauge either side of the large speedo. 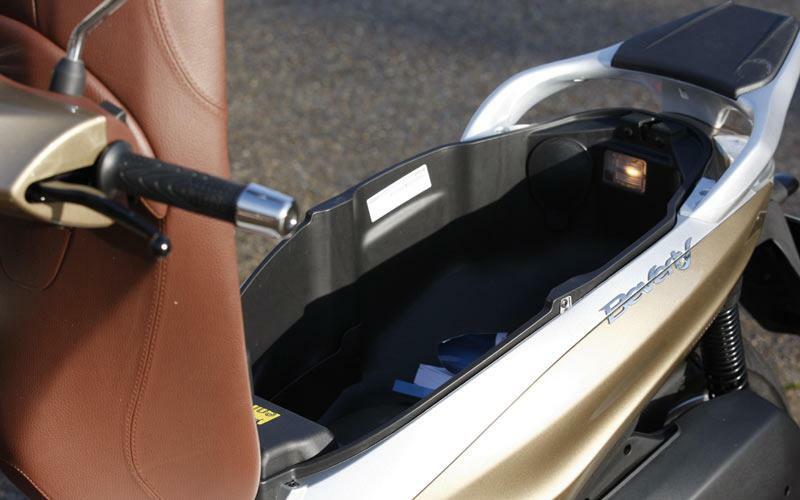 Grab rail and neat fold-away pillion pegs means passengers are well catered for. 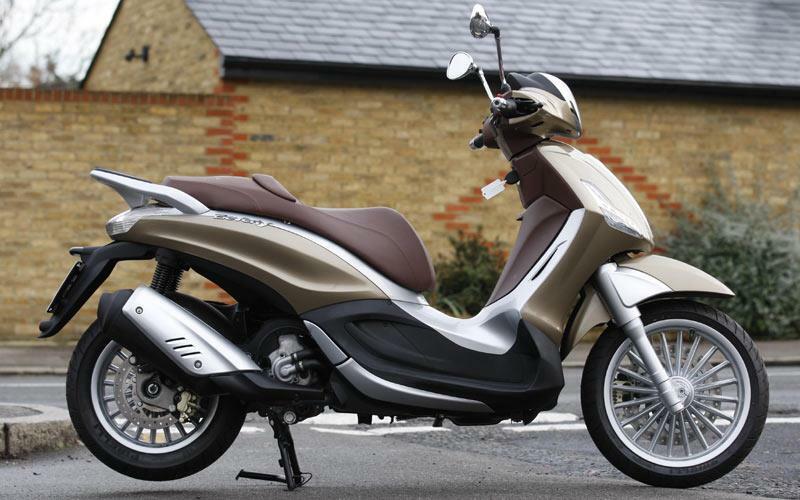 No owners have yet reviewed the PIAGGIO BEVERLY 300 (2011-on). 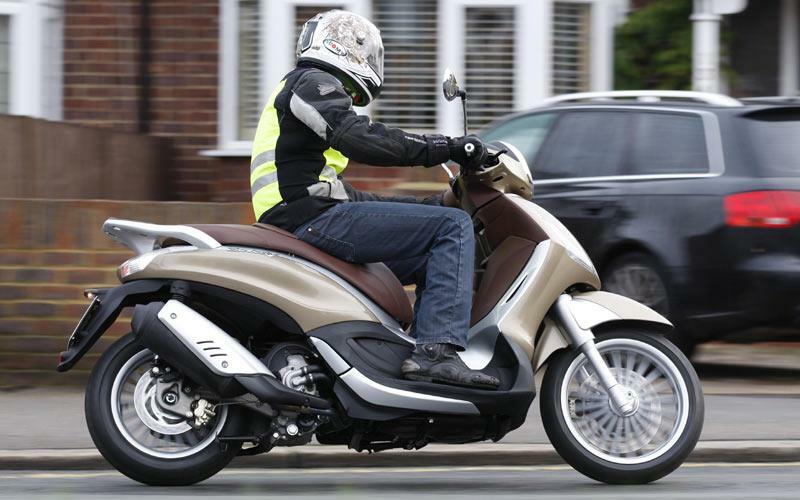 "Mind-bending; not because of its speed, but because of how much confidence an extra front wheel affords"